This entry was posted in Press Releases on October 31, 2017 . Please join us downtown in front of the Liberty Theater as we once again are handing out Halloween Bags. 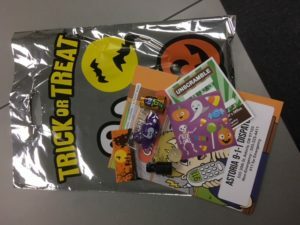 Astoria 9-1-1 started this tradition several years ago with 50 bags. Today it has grown to 750 and includes the assistance of many of our Public Safety Partners. We will begin the great 2017 Halloween Bag handout at 3:00. This entry was posted in Press Releases on October 30, 2017 . This entry was posted in Daily Press Logs on October 30, 2017 . This entry was posted in Uncategorized on October 29, 2017 . This entry was posted in Uncategorized on October 28, 2017 . This entry was posted in Daily Press Logs on October 27, 2017 . This entry was posted in Uncategorized on October 26, 2017 . This entry was posted in Daily Press Logs on October 25, 2017 . This entry was posted in Uncategorized on October 24, 2017 .